As a Regional Director based in Kansas City, Alexis works closely with study abroad advisors, administrators, and faculty at higher education institutions in KS, MO, AR, IL, IN, OK, and TN. The goals of this collaborative relationship are increasing study abroad participation and achieving the institutions’ broader vision of internationalization. Alexis cooperates with campus partners to develop custom, faculty-led programs and to advise students about CEA's study abroad and internship programs. 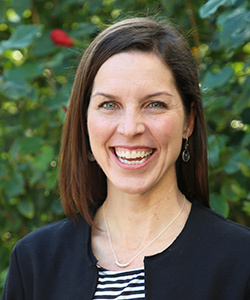 Prior to joining CEA, she was with the University of Kansas for nearly fifteen years, where she served as the Assistant Dean for Recruitment and Retention for the KU School of Engineering and Associate Director for the KU Office of Study Abroad. As Associate Director, she led a campus-wide study abroad curriculum integration initiative where she worked closely with deans, faculty, and academic advisors in over 40 academic units. The initiative identified major-specific study abroad opportunities, produced advising materials and resources, and developed targeted strategies promoting study abroad engagement. One of her primary goals throughout her career has been to educate students about the international opportunities available to them and to encourage their participation in activities that enhance their academic and professional growth. She looks forward to connecting with students throughout the Central States to share CEA’s study and internship opportunities with them.